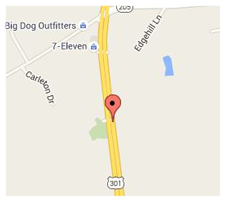 Before the 20th Century, no records exist of an undertaker in Caroline County. The first known record was of a gentleman named Hugh M. Pegg, who first operated a carriage and wagon maker’s business and later began as an undertaker on Chase Street across from the present day Masonic Lodge building in Bowling Green. The site where the business was located is now part of a county owned parking lot. Mr Pegg was operating on this site in January 19, 1907, when he handled removing the remains of Edmund Pendleton, his two wives and infant son from their home at “Edmundsbury,” near File in Caroline County, to the aisle of Bruton Parish Church in Williamsburg, Virginia. 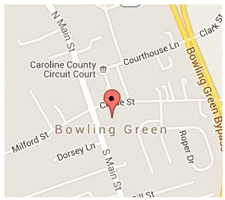 The second funeral home was operated by John Gill sometime prior to December 27, 1924 and was located at the corner of Chase and Main Streets in Bowling Green. Previously the site was occupied by William Wright’s carriage and wagon factory. Today, a Texaco service station operates here. According to records, Mr. Gill handled the funeral of John Lawrence Jordan who was buried in Lakewood Cemetery. An advertisement first appeared in The Caroline Progress newspaper on March 13, 1925, as “John W. Gill, Bowling Green Funeral Director, Dealer in General Merchandise, Hardware, Sherman Williams and Wilson Heaters.” His wife, Cora Covington Gill ran a hat shop in Bowling Green. Mr. Gill continued in the funeral business with advertisements in the county newspaper on a regular basis in the 1920’s and early 1930’s. He died in 1936, and was buried in Lakewood Cemetery, Bowling Green. Hugh Pegg continued in the funeral business during most of the first half of the 20th century, and was joined by L.R. “Jack” Davis who had been operating a mercantile business on Main Street in Bowling Green from which he also sold coffins. Mr. Davis bought into the business in the 1930’s. The firm was then known as Davis-Pegg Funeral Home, and operations moved to a new brick building erected by Jack Davis in 1941. The building, located next to the Bowling Green Baptist Church, was occupied as the home of Jack Davis who used the parlor of the house for his funeral business. Activity as a funeral home ceased and the building was sold to Frank Beazley who lived the last years of his life there. It is now the office of Allstate Insurance Company. Mr. Pegg died on May 10, 1940. His wife Sally Ann continued to live in the home until her death at age 89 years on February 27, 1975. Both are buried in unmarked graves adjacent to those of his mother and brother, Wallace Pegg, in graves 5, 6, 7, and 8 in Lot 12, Section E of Lakewood Cemetery, Bowling Green. In March 1928, both John W. Gill, Funeral Director, and the firm known as “Davis and Pegg, Undertakers” had their advertisements in the county newspaper. Later, Pegg’s association with Davis ceased and the name Davis Funeral Home was used until 1947 when the business was sold to Paul W. Manns. Manns’ Davis Funeral Home had charge of moving graves from a private family burying ground and church cemeteries in an area encompassed by Camp A. P. Hill (later changed to Fort A. P. Hill) to the newly-formed Greenlawn Cemetery. Only eight graves were moved to other cemeteries: four to Salem Baptist Church, and four to Lakewood Cemetery. Joe Ayers supervised the moving for Jack Davis. “Red” Ayers helped in transporting remains to a new location, and John Crowell assisted in the removal. The remains were all placed in gray-painted wood boxes. The records of this procedure, complete with drawings, are preserved and the originals of these are with the Caroline Historical Society. Jack Davis sold the funeral business shortly after the war but continued to live in the county until his death on August 21, 1971, at the age of 65 years. He is buried in Greenlawn Cemetery. Paul W. Manns, who purchased the Davis funeral business, also owned and purchased a local newspaper. Manns served as a State Senator and as an editor of the newspaper while also being an undertaker. He ran the funeral home out of the house known as the old Wright home, which had been the residence of William Wright, who operated a wagon and carriage factory on the side next door, and where John Gill had his funeral business. The Wright home served as a funeral home for years, and Paul W. Manns and his family lived in the upstairs of the house. In the 1950’s, a Mr. Hoy joined Manns as a partner, again causing a change in the firm’s name, this time to Manns-Hoy Funeral Home. Hoy severed partnership with Senator Manns and purchased Athol Collins property across the street, between the Episcopal and Methodist churches. He moved the Collins house to the side street, converted it into apartments, and made plans to build a funeral home on its former site. These plans never materialized, and Mr. Hoy moved from Caroline. In 1968, Mr. Manns renovated the old Safeway store adjacent to the Wright home where his business was operating. Upon completion, he then moved into the new accommodations. 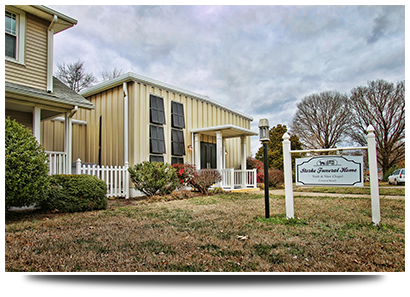 This building offered air conditioning, with a spacious chapel and family room. In 1979, the business was sold by Mr. Manns to Dr. W. Powell, and the name was changed to Manns-Powell, subsequently Powell Funeral Home. 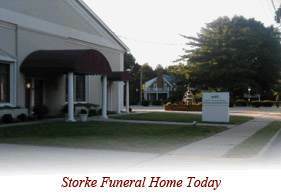 Eight years later, David W. Storke became Funeral Director there and purchased the business on May 30, 1991. 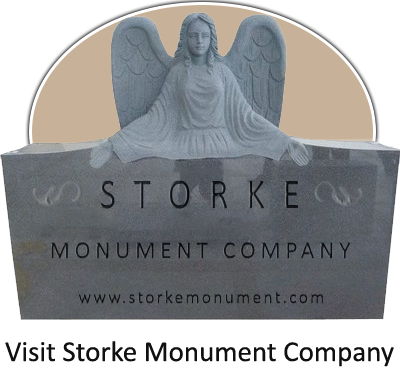 The business has been known as Storke Funeral Home since 1993. Charlie C. Redding operated as the first Undertaker in the Ninde area of King George County. As early as 1925, he operated the business out of his house and would prepare and lay out the bodies at the person’s home. He would then conduct the funerals at their church or grave site. Occasionally, he would lay the remains out in the living room of his own home for a viewing or service. 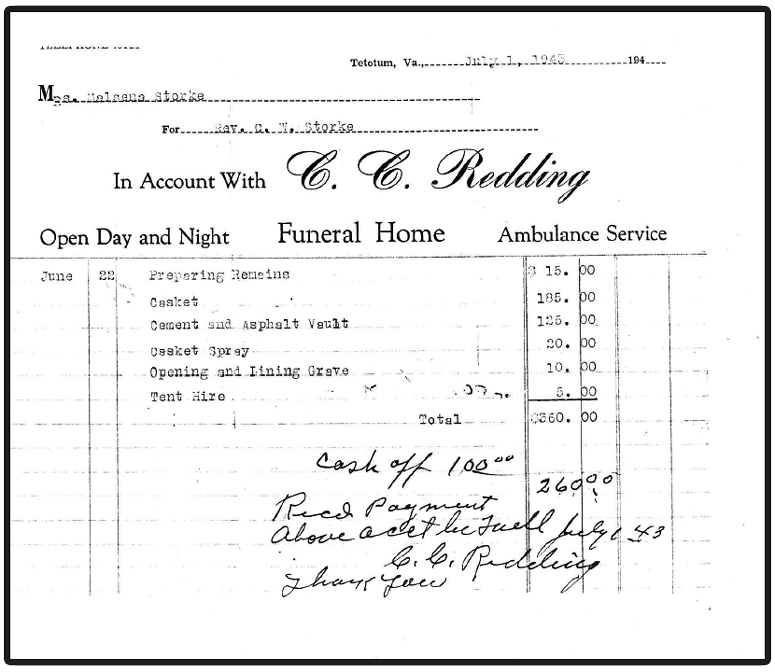 In 1946 Robert Nash of Westmoreland County joined Mr. Redding and the funeral home name was changed to Redding and Nash Funeral Home. Mr. Redding retired in 1950 and sold his interest in the funeral home to Paul Slaw and again, the name was changed to Nash and Slaw Funeral Home. Robert Nash died in 1964 and Paul Slaw became the sole owner. 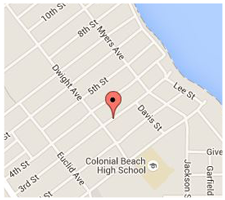 In the early 1960’s Paul opened the second funeral home location in Colonial Beach. Edwin Taliaferro joined Paul Slaw as a funeral director in 1967 and continued with him until Paul sold the funeral homes to Ed in 1983. Ed moved the King George chapel from the small house at Ninde to the present location on James Madison Parkway in 1984. Mr. Taliaferro retired in 2016 and sold the funeral homes to David Storke. A copy of David Storke’s Great Grandfather’s, Rev. C.W. Storke, funeral bill from 1945.